We declare that we recognize our social responsibility that personal information should be significantly important, and properly utilized and secured it, and that we should make greater efforts to secure personal information. The term “personal information” as used in this Act shall mean information about a living individual which can identify the specific individual by name, date the payment date of birth or A, B, or C, D or E or other description contained in such information (including such information as will allow easy reference to other information and A and B, C, and D and will thereby enable the identification of the specific individual. 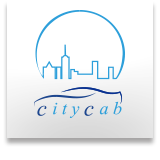 Citycab , under the purpose of the followings, will utilize only it in its regulation of purpose .The collection and utilization of personal information should be spontaneously provided it to us, therefor, Citycab understand that customer accept Citycab will use their personal information based upon the act of protection of personal information. When Citycab are going to provide our service you ordered and/or reserved, We are going to utilize customer’s personal information in order to inform of new service, the profitable and expecting information for customer, and to confirm and collect customer’s opinion by Citycab on the process to carry on our service, for the collection of customer’s opinion and confirmation to improve the quality of our service. Citycab handling personal information shall not, without any cause, provide personal data to a third party without obtaining the prior consent of the person. We,Citycab,are pleased to comply with your request and needs . Please feel free to ask and contact us when you are going to have a sightseeing ,Playing Golf,and picking-up /dropping-off at Airport.